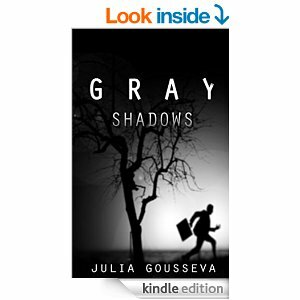 “Gray Shadows” by Julia Gousseva is a dark and atmospheric thriller about bodyguards, in particular about 28 year old Nikolai. Ex-army, equipped with a sharp mind and a moral conscience and in love with Olga he suffers an injury while protecting an important lawyer. Too eager on the job to go into teaching he takes on an odd assignment, involving the 22 year old Natalja in a small place in the polar regions north of Siberia. However, the seemingly straight forward job turns out to be far more complex and twisted than one would have expected. The book builds up the tension and the suspense with great timing, leaving us unprepared for the direction the plot takes. The scene setting is particularly well done. I am a big fan of Scandinavian and Nordic crime fiction and hugely enjoyed how the author let me feel the bleakness of the Russian arctic setting. Without the distractions of luxuries and civilisation the story becomes intimate immediately and intense. Nikolai is an interesting character who’s been given enough background and inner conflict to distinguish him from other heroes and to set him up for the series. Oil, corporate and governmental interests, corruption and deceit all come into play. A new star on the horizon of crime fiction and a promising series. 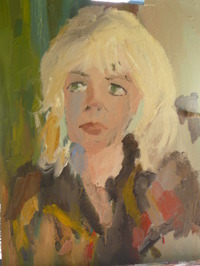 Julia Gousseva was born and raised in Russia when it was still a part of the Soviet Union, or USSR. For a long time, Russia was hidden behind the Iron Curtain and had a mysterious image of the Evil Empire to many Westerners, specifically Americans. But Russia was a mystery not just to outsiders, but to its own people as well. One of Julia’s college history professors used to refer to Russia as a country with unpredictable past. Why? Because every time a new leader came to power, all state-issued history books were changed and rewritten. And all history books were state-issued.Julia’s novel MOSCOW DREAMS is set in Russia and presents life from the perception of everyday people whose lives were dramatically altered by events that have changed and are still changing Russia. Julia’s short story collection titled TWELVE MONTHS OF THE SOVIET CHILDHOOD shows life in the Soviet Union before the changes and offer a child’s perspective. Her children’s stories put whimsical characters from old Russian fairy-tales in modern circumstances for today’s kids. Julia is not only a great writer but a great person. She’s posted on my blog, I enjoyed conversation with her. Hope this book does well for her.